I hope and pray to Allah (SWT) that you will receive this letter in the best of health and highest state of Iman. 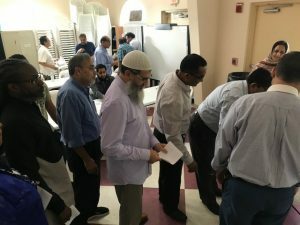 Alhamdulillah, the Election Committee has completed their task of interviewing the nominated candidates for the Executive Committee and subsequently conducting the election process and hereby announce of the Executive Committee for the Term 2018-20 which was held on Sunday, October 7th, 2018 at the Islamic Foundation of South Florida. 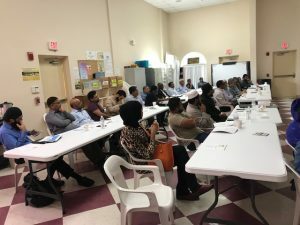 The following individuals have been elected as members of the Executive Committee by the members of the South Florida Muslim Federation. I would like to thank all the members of the Federation and the candidates for their participation. Furthermore, I would also like to recognize the election committee members Junaid Akthar and Wilfredo Amr Ruiz for their commendable team effort. May Allah (SWT) accept our efforts, forgive our shortcoming and bless us all. Best wishes to all as we welcome our representatives to their new roles and look ahead to coming tenure and we pray that Allah (SWT) give them Taufiq to perform their responsibilities in the best manner, Ameen.